One of the easiest parts of planning my wedding has been picking the ladies who would stand up with me - my best friend, Amanda, and two close girlfriends, Mae and Helen. I knew these ladies while I lived in Los Angeles and they love me inspite of me. I actually asked each of them to be an attendant when I told them that I was engaged but I still want to make the process a little special. So I made some cute invites/info packets after being inspired by these ones from Elise Blaha. 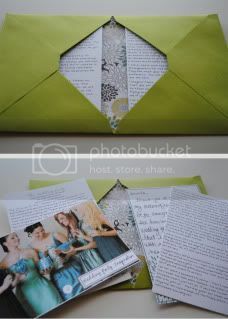 Step One: Open your small colored envelope at the seams using your finger or some Goo Gone. 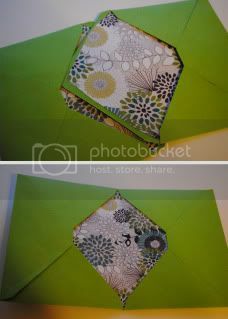 Step Two: Open the old envelope at the seams and trim the sides until the envelope is about 1/4" smaller than the small colored envelope – this will become your envelope liner template. 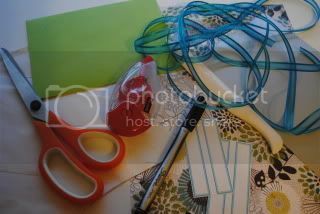 Step Three: Print out your digital scrapbook paper on to white copy paper (or use actual scrapbook paper). 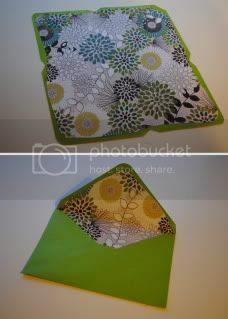 Step Four: Lay the envelope template on to the wrong side (the back) of the digital scrapbook paper. Trace around it and cut out along lines. 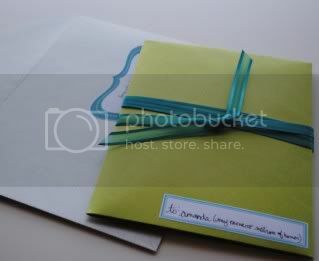 Step Five: Use adhesive to adhere the digital scrapbook paper to the interior of the small colored envelope. 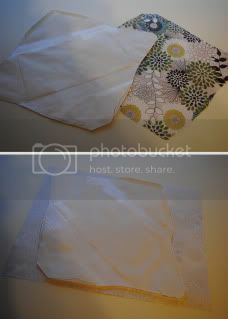 Step Six: Re-fold small colored envelope and re-adhere the seams. Use bone folder to make smoother seams, if desired. 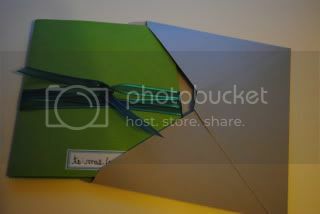 Step Seven: Stick the flap of one envelope into the other and use adhesive to adhere. Step Eight: Adhere a small label to the front (P.S. 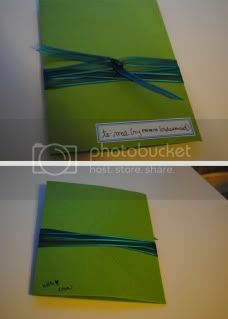 I wrote that "my favorite" thing on each lady's packet) and tie the package with ribbon. Sign the back. Now you have a small packet that can hold notecards and photos detailing wedding party expectations, contact information, dates and times, and information regarding attire. In my packets, I included a contact list, the dates and times of the events that the wedding party needs to attend, information about what attire/hair/make-up was expected, an image of the attire concept I am thinking of, and a handwritten note to each lady. Easy-peasy. Just slip each one into a larger colored envelope and send in the mail. There are a million variations of this craft project – how would you personalize it for your Big Day?